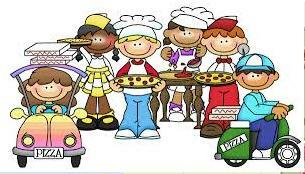 Our Italian cooking classes for children are back! This month we feature “I Panzerotti”, small deep fried calzoni popular in the region of Puglia (Apulia). Brought to you by the ICC children's language program, this cooking class has been designed to be fun and informative for parent and child (ages 5 and up). Join us on Sunday, October 11th, 12:00 – 2:00 PM as we create these easy treats at Rebecca's Authentic Italian Bakery, located at 2111 East Franklin Avenue in Minneapolis. Ample, free parking is available. Raised and trained in Italy, Rebecca’s owner and pastry chef, Asse will guide you through the process and tasting. ICC instructor and Puglia native, Luisa O’Gara will be on hand to provide more information about this tasty snack. Each parent and child participant will eat their own panzerotti at the bakery and take a few home too! Soft drinks will be provided. WHERE: Rebecca's Authentic Italian Bakery, 2111 East Franklin Ave., Minneapolis.